Caribbean, located in the Leeward Islands (northern) group; Dutch part of the island of Saint Martin in the Caribbean Sea; Sint Maarten lies east of the US Virgin Islands. The northern border is shared with Saint Martin, a French overseas collectivity of France; together, these two entities make up the smallest landmass in the world shared by two self-governing states. 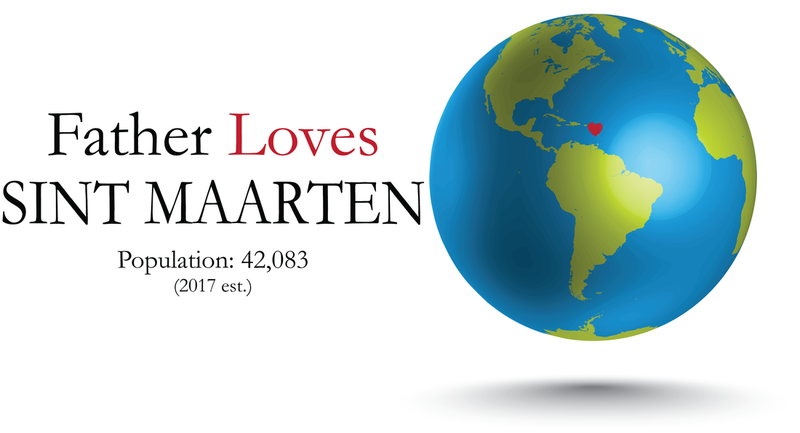 Father, I declare your love over Sint Maarten and for everyone who lives there. I pray the good news of your beloved Son would reach every person in this nation. I thank you Father that you have already poured out your Holy Spirit on all flesh so I am asking for the seeds of your love to bear much fruit in Sint Maarten today. Father, I also ask that you would strengthen every believer in Sint Maarten and impart to them a greater revelation of your love so they would truly know they are your sons and daughters. In agreement with your children who are praying this same prayer today, I declare the life changing truth that my Father loves Sint Maarten!